Audience, Advertisers & Emloyees: Who’s the Most Important of Them All? Bernie Mann Will Tell You Who. I think I have 3 constituencies that are important to please. Audience, Advertiser and my employees. Who is the most important? Of course they all are crucial but without question my employees are the most important. If my employees are passionate, happy and conscientious they will make my audience pleased with the product we produce and my advertisers will be happy too. The Cost of Living with Magazines Has Definitely Gone Up…But Has the Cost of Living Without Them Become an Option for Some? The receipt you see to the right is the actual amount that I spent at Wal-Mart on 18 different magazines: $145.61. That’s an average of $8 per magazine. For the typical American looking to buy two of their favorites a week, adding an extra $16 to your grocery bill can cause you to sit those two inedible objects right back on the newsstands. And we wonder why newsstand sales are declining. 1. Oxygen 15 Minute Workouts – a very specialized magazine that focuses on 15 minute workouts and affirms the validity of such abbreviated physical activities by asserting to be ‘Your no-excuses guide to getting fit fast.’ And while I’m sure there is a great deal of truth in that statement…the price to actually find that out is $9.99. A fitness magazine that costs $10? I was expecting to see Richard Simmons leap from between the pages when I opened it, and lead me in a ‘Sweating to the Oldies’ workout. 2. 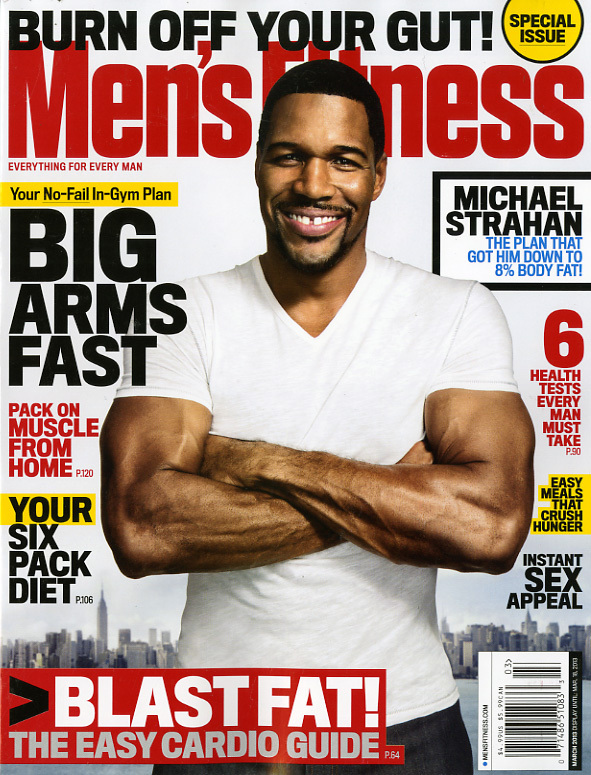 Men’s Fitness – staying with the physical…the newsstand issue I bought at Wal-Mart is different from the subscriber’s issue. Different, in that it has an alternate cover and the paper the magazine is printed on is totally opposite, with the newsstand issue being much thicker and heavier than the subscriber’s copy. Why is that? Why are we not consistent between out subscribers and our single-copy sales as far as the quality of our product? Shouldn’t we be? 3. Rolling Stone – Special Collectors Edition – Bob Dylan – And of course, the title says it all. 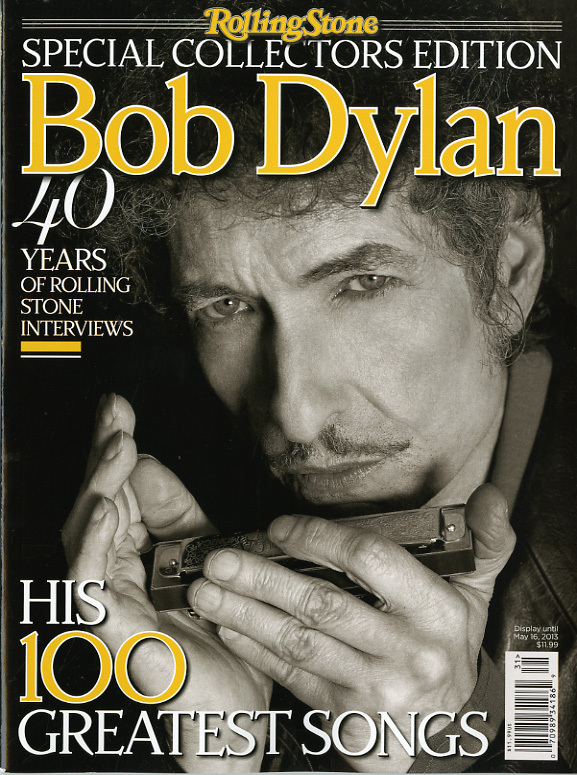 Legendary Bob Dylan is on the cover holding a harmonica a hair’s breadth away from his mouth, in preparation to play; all the while staring back at you with that brooding, stony glare that he is known for. And for $11.99 you can count yourself among the lucky ones who own this collector’s copy. His top 100 greatest songs are ranked and listed here, with Bono selecting “Like a Rolling Stone” as number one. It’s an up close and personal look at the man and his music as only RollingStone can put together. Worth every penny! 4. Nail It! – The premier issue of a magazine about nail trends – of the finger variety. A bi-monthly magazine devoted to the latest in nail polishes, decals, and tips. A must have for nail fashionistas everywhere. And for $5.99 you have to decide if it’s worthy or not. But it does prove niche publishing is vogue with the country, and in some cases profitable. It remains to be seen whether this one will be. 5. 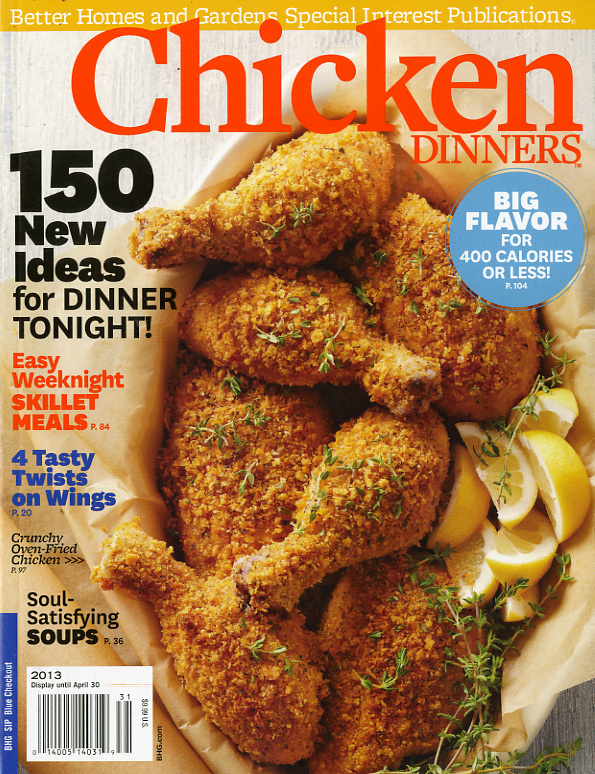 Chicken Dinners – from Better Homes and Gardens Special Interest Publications – an entire magazine devoted to chicken. Whether it’s fried, skillet-prepared, baked, or brined with maple, this magazine will give you the recipe for preparing it. And it’ll only cost you $9.99 to read. Of course, I would imagine searching the net for few hours one may find the same chicken content for free. However, as experience makers folks, it seems OK to charge $10 for a magazine that shows us how to cook chicken. 6. 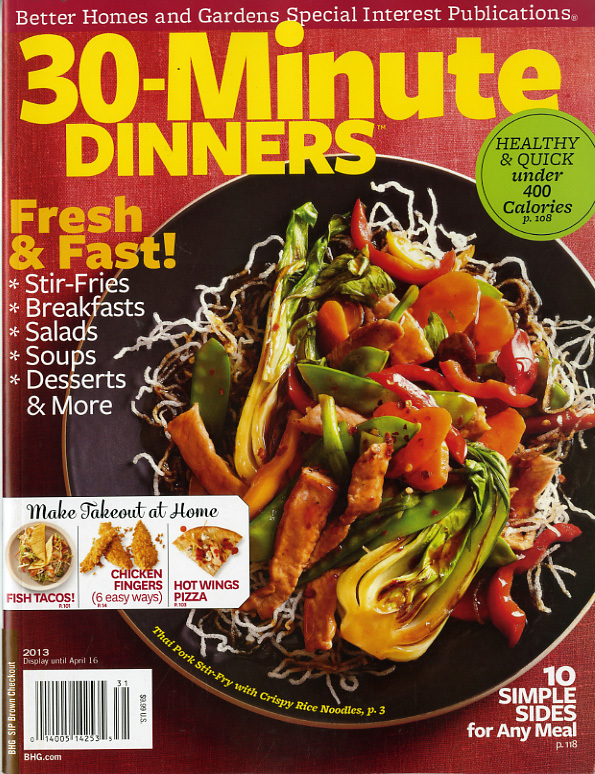 30-Minute Dinners – also from Better Homes and Gardens Special Interest Publications. Please refer to #5.Same rules apply. 7. 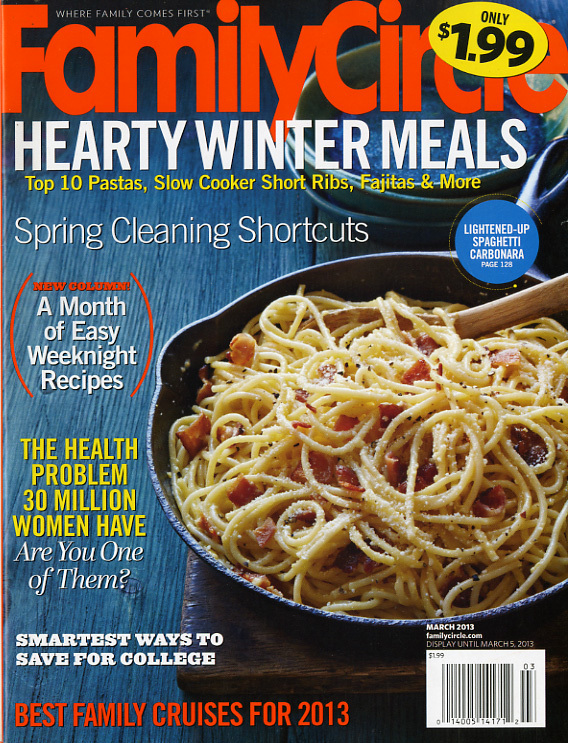 Family Circle – for $1.99 you get the traditional Family Circle fare at a great price. Unlike the $2.79 cover price at Kroger. 8. 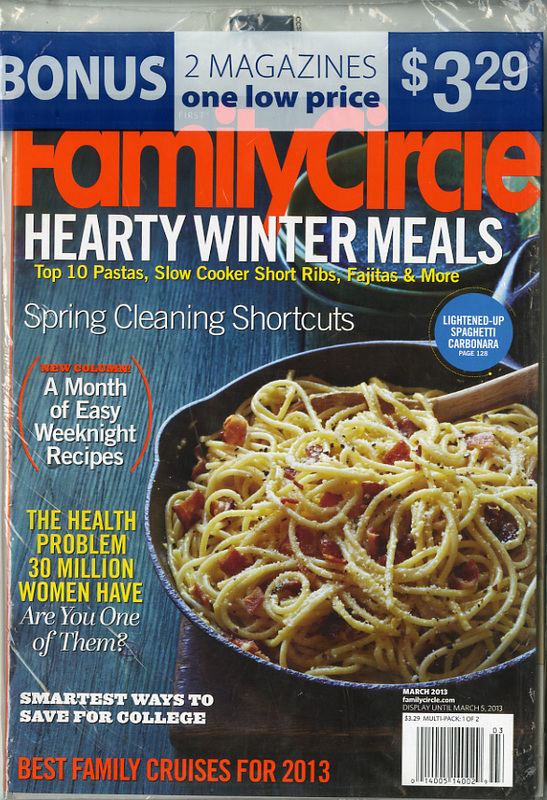 Family Circle + Ladies’ Home Journal – a two-magazine baggie deal that is a tremendous opportunity for fans to get both magazines for the low price of $3.29. 9. 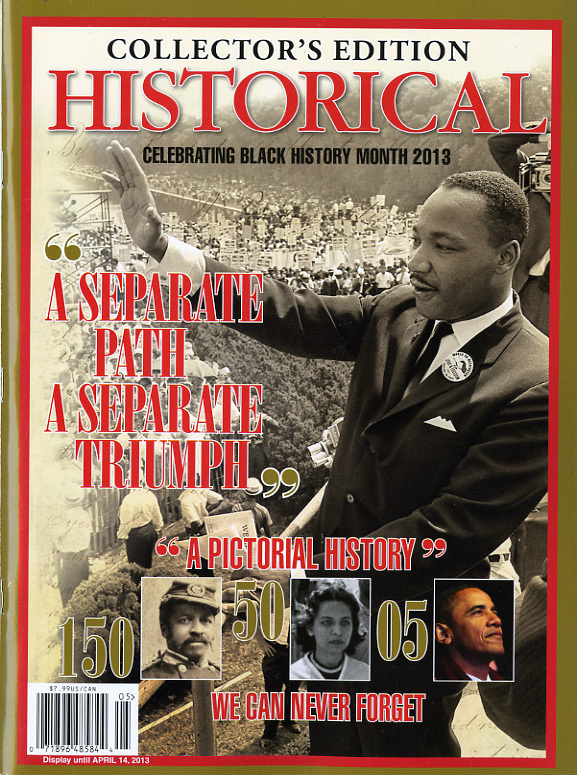 Historical – the collector’s issue celebrating Black History Month – a vast array of information on many black leaders from yesterday and today. But for $7.99 an issue, you could probably get your history lesson a lot cheaper somewhere else. 10. 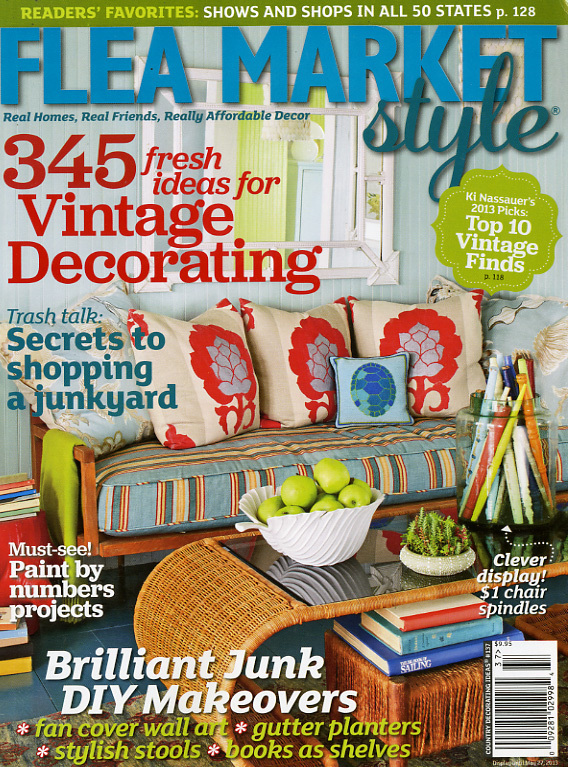 Flea Market Style – A magazine that for $9.95 an issue will show you how to take rummage sale and junk sale items and turn them into usable, and in some cases, extraordinary novelties. 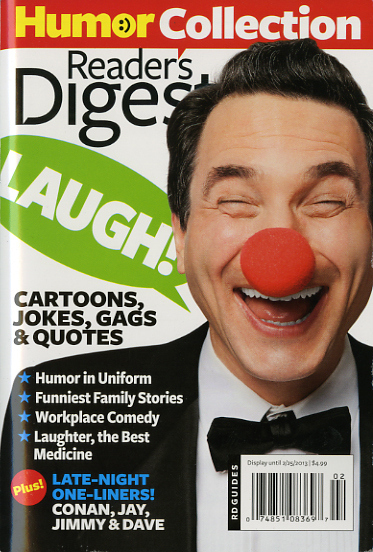 Another niche publication for just that right audience; whether the price is right for those folks, will be up to them. I bought it because of an article about a home near by in Water Valley, Miss. produced by a former student of mine. 11. 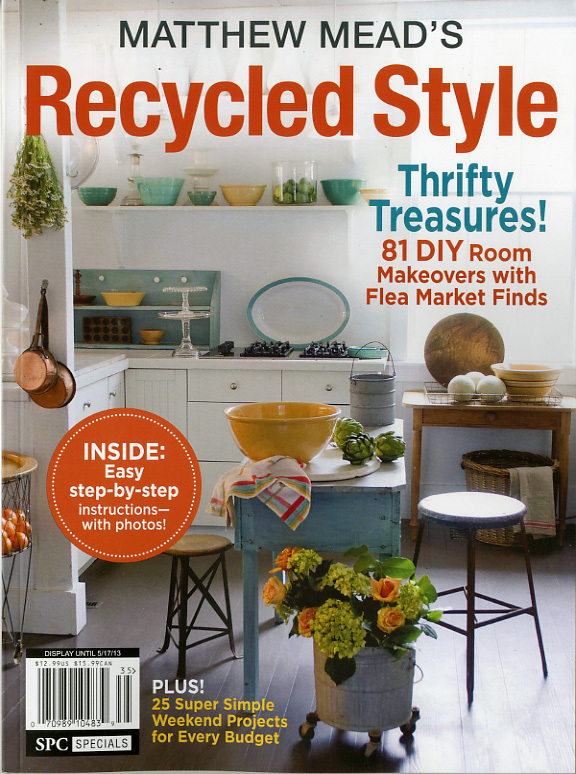 Matthew Mead’s Recycled Style – Another magazine where throwaways and no-longer used items are, this time, ‘recycled’ and used again. But to read the recycling revelations from the folks over at Oxmoor House, who bring you this magazine, you’re going to have to shell out $12.99. 12. Taylor Swift – Special Collector’s Edition – this magazine is just what the title indicates – a magazine devoted to country music sensation, Taylor Swift. And for $6.99 it can be in your collectible magazine stack today. But should it be at that price? Up to you. By the way the real name of the magazine, the smallest type on the cover, is Teen Party magazine. 14. 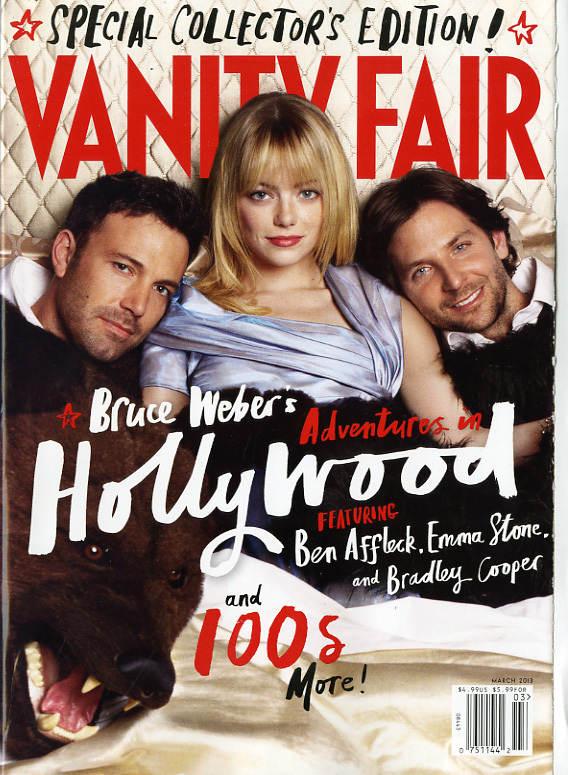 Vanity Fair – Special Collector’s Edition – chock full of stylish information and a foldout cover that not only promotes the issue with content teasers as you unfold, but also shares space with a very imaginative Calvin Klein ad. And the magazine is almost 400 pages…all for only $4.99. 15. Cosmopolitan – the March issue with the matured version of teen sensation Miley Cyrus. 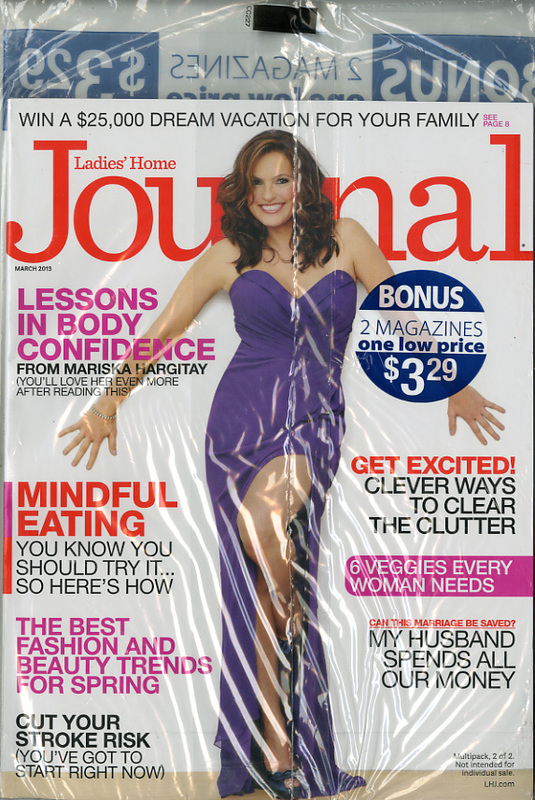 The magazine sells for $3.99 and my Wal-Mart issue has a $1 off coupon taped to the cover. Of course, only redeemable at Wal-Mart, but nobody’s perfect. By the way I did not use my coupon. I needed to keep it so I can show it to y’all. 16. 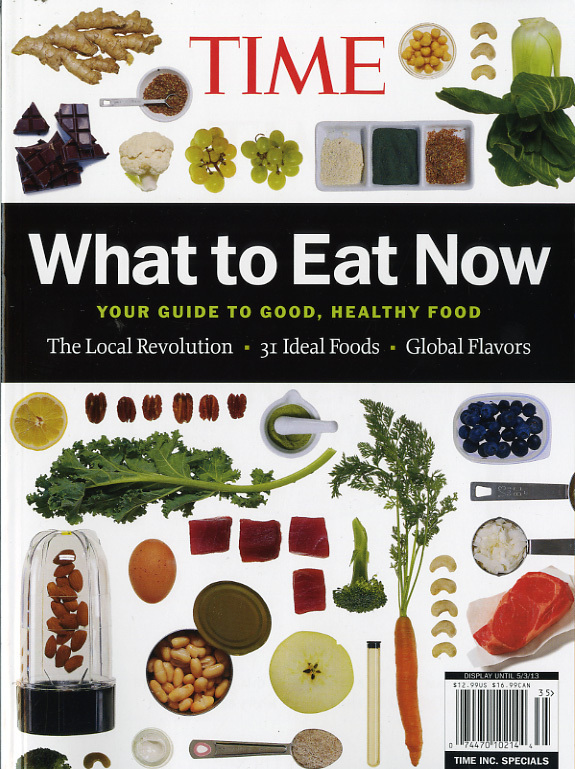 What to Eat Now – a niche effort from the good folks’ at TIME that has two different covers. One has a more vertical slant to it (no pun intended), the other a more horizontal. 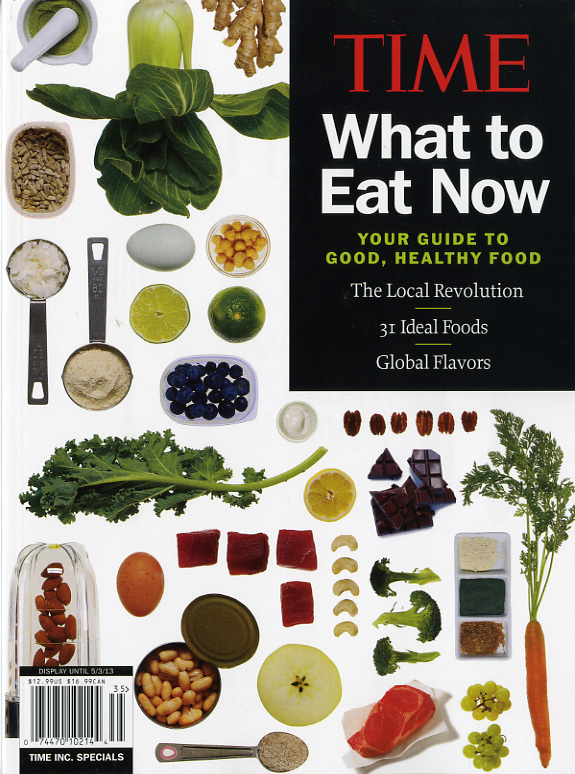 For folks who just can’t decide how they want to see vegetables and fruit displayed on a magazine cover. By the way, it’s 12.99. 17. 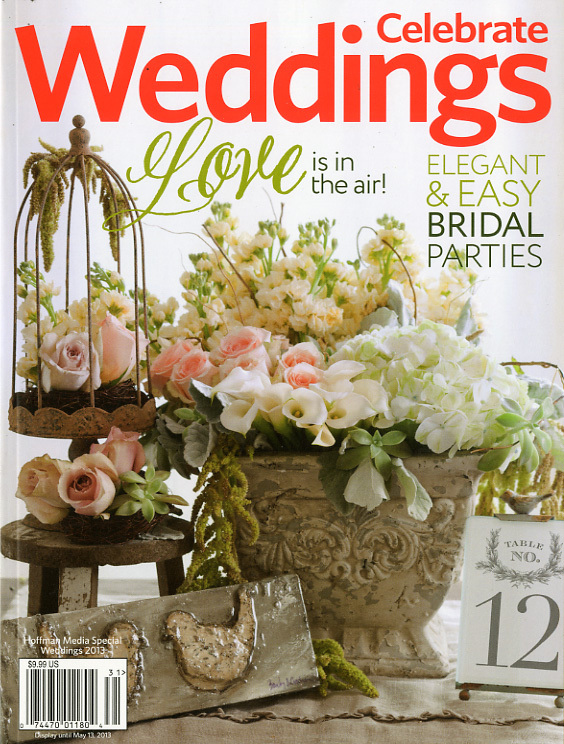 Celebrate Weddings – a bridal magazine from Hoffman Media devoted to everything matrimonially trendy. Your impending nuptials can feel the effects of the suggestions between the pages for $9.99. 18. 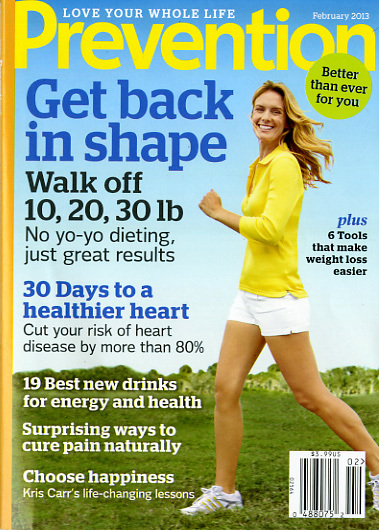 Prevention – two different covers promoting getting back into shape by walking. The cover lines are exactly the same, other than the colors, but the pictures are totally different, yet, almost the same, other than the poses. Why the need for two different covers? It is a question I will need to address in a future blog. But for now I am happy to spend $3.99 to get cover 2 of the magazine. Eighteen magazines for $145.61 …I think it’s a good thing for the magazine industry that Mr. Magazine™ and his love for magazines exist. Next stop Kroger… the ticket, $95.68. Tomorrow is another day! Indeed the cost of “magazine living” is on the rise. When DeWitt Wallace shopped his idea of Reader’s Digest to every major magazine publisher in New York City in 1920 he was faced by one rejection after the other. When Henry Luce launched Sports Illustrated in 1954 he was not disheartened when the magazine lost money for 12 years. Wallace went on to publish Reader’s Digest on his own in 1922 and Luce stuck with Sports Illustrated making it the largest sports weekly magazine in the world. Both men were passionate about the subject matter, emotional about the content and staunch believers in what their gut told them to do. This is a far cry from today’s owners of the magazine media, most of whom have no editorial background whatsoever. Luce and Wallace were editor’s first, business folks second. They knew good editorial content when they saw it and they knew the value of such editorial in reaching customers, both readers and advertisers. Hugh Hefner , Jann Wenner and Marvin Shanken are but three remaining editors/publishers who still act from their emotion, passion and, above all, guts. All three have been overseeing both the business and the editorial side of their respective magazines. Luce must be turning in his grave hearing the news of the eminent sale of his creation Time Inc. and Wallace has probably flipped completely over by now. I know history shouldn’t repeat itself, but it was, still is, and will continue to be a great instructor, teaching you to live in the present, but plan for the future. However, I know that the magazine media today must undergo a transformation if it is to thrive, as well as survive. Because if they can’t make it today, why should they care about tomorrow? It’s as simple as that, and as complex. The old business model of the passion driven and need-based product is changing into a numbers driven and want-based existence that requires a complete shake-up of the magazine media’s ideas and the very foundations the industry has been built on for the last 150 years. That good-old, complacently-content magazine familiar won’t fly in this digital age, or so they tell us. The bubble has burst. On that, I think we can all agree. The new model today is synonymous with the statement: If I give you what you want, you will find what you need. Think about that for a second. Just let it really sink in. If I give you what you want, you will find what you need. And to empower that declaration into action, you need the mega-boost of some very potent vitamins…and I have them. The Vitamin Cs for magazine media …the new business model in action. No longer are we, the media in charge. There’s no possible way, with all the choices out there, that as an industry we can possibly believe that we dictate what our customer’s will and will not consume when it comes to their media experiences. No way. That is foolish thinking and just won’t wash anymore. There are two types of customers that exist in our world and must be satisfied: the audience of one and the advertiser. Without either of these two, we’re sunk before we leave port. Both customers: the audience (albeit a reader, viewer, listener, or user) and the advertisers have another 3 Vitamin Cs they enjoy and cherish: control, choice and comfort. Both are now more in control of their destiny than ever before, both have plenty of choices and both are looking for this comfort zone they call their own. But out of those two, the audience of one is the most important. Why, you might ask? Why, when advertising dollars far surpass any single subscription or cover price of an individual consumer. The answer is simple: the audience of one is twice the customer. Has the train jumped the track with you in it on that statement? If so, I’ll be happy to explain. The audience of one is our buying public, our reason for existing; they nail down our homes on the newsstands and keep them secure. But they’re also the reason the advertisers exist; they are the glue that sticks their products to the store shelves. Without nails and glue, our products would be free-floating, like a balloon in the sky, floating up, up and away…never to be seen again. And that would not be a good thing. So we’re selling content to our audience and our advertisers are fishing for those audiences any way they can catch them. So our second Vitamin C – Content – is vital to the body of our new business model. However our content today is in no way your father’s content. No ledes with journalists’ best friends Who, What, When, Where, Why and How, but rather What Is In It For Me, the WIIIFM factor. Note the three IIIs in the WIIIFM factor. It is all about me, the audience of one. The heart of our being can’t live without content. So it’s got to be the best and most significant information and entertainment that it can be for our customers. There is no shortage of information out there. Between the social media, the constant e-mail updates, the Tweets and the re-Tweets, our customers are wired and “on” at all times. So the information we supply them must exceed their expectations and define what they’re looking for. That’s why priority number one for media publishers today should be content curation and solution creation. Remember our job now can be summed up in three things: content curators, solution creators and experience makers. Commerce is that wonderful buying and selling we call capitalism that we all know and love. But today, with our audience of one in control, it has to be more than that random ad placed on that random page hoping for that random sell. It has to be much more targeted and geared toward that audience of one. I offer you a sunny-day-at-the-lake scenario for your consideration: The content of our product is the bait, the advertisers are the fishermen bringing their poles, and the audience of one, our top priority, is the fish. So it’s very apparent that the selection of the bait determines the fish we’re going to catch. Therefore it’s up to the fisherman to choose well. But more than that, media publishers need to realize that we’re in the business of selling to make a profit too. That’s why the new business model proposes divvying up the fish, so that the advertisers aren’t the only fishermen in the boat. We need to share in that common stream of revenue and be creative and interactive with our advertisers and our audience of one. We have to engage in this fishing tournament for the sake of that singular audience member, to ensure we are the ones providing his or her experience from that moment on. Because, folks, the lake is too big for just a few anglers; we’re not just providing the bait anymore, we’re bringing our rod and reels too. That’s why in our day and age endemic ads make perfect sense. If you’re a children’s magazine, for example, why would you advertise Harley Davidson’s in that publication? It just doesn’t make sense that a fisherman would choose tadpoles, when he or she would catch more fish with worms. Relevant message to a relevant audience via the relevant medium… just pure common sense. Community is our 4th vitamin in the bottle. In this age of Infinite Transcended Media, we are no longer one big happy family who excludes outsiders and panders to the egos of our own kind. ‘Our own kind’ simply doesn’t exist anymore. Today we are clusters of communities; the melting pot has become a melting vat instead. And the ultimate goal of any person within that huge vat is to belong to a community. We have to treat our customers like members of our community. Birds of a feather flock together. It isn’t just an old, outdated saying. If you live New York City, but actually reside in one of the suburbs, say…Brooklyn; when someone asks you where you live, you’re going to respond, Brooklyn. That’s because you feel more connected to that smaller enclave, your community, than you do to the entire city. It’s the same with the clusters of media communities. Our customers are flocking together and we have to be there with the Welcome Wagon when then move in. And the cushion of all of this is creativity. There must be more to us than just surface banter. We have to achieve depths and allow our customers to discover the layers one at a time. Then we give them what they really want, comfort. Choice, control and comfort are the priorities our customers are demanding today. And the sooner we realize that, the better off we’ll be. If we take these Vitamin Cs of the new business model and swallow them down with the MVP approach: Meet and exceed the expectations of our customers – Validate for them, everything that is out there – Preview the near future so they know what to expect tomorrow – then we begin to see the effects the Cs have on our new business model. Subsequently, we have new strength and have acquired immunity to the bugs out there that threaten to put us in our sickbed. Our cheeks are rosy and we finally have the good health we have been seeking for so long. Bring back the passion, add a dash of emotion and have the guts to let your heart lead the way, because I know there is no other way for the magazine media to thrive in this numbers-driven, statistics-shackled age. So start spreading the news, change, the right change, is the only constant in the magazine media business and both Change and Constant start with C.
Newsweek in Print: All Over the World Except in The United States? AG is pleased to announce its partnership with Brazil’s Castelo de Pedra to publish Newsweek for newsstands in Europe, the Middle East, and Africa. AG Publications has been producing Newsweek Pakistan since 2010, and Castelo de Pedra began publishing Newsweek for 28 Latin American countries earlier this month. The London-incorporated joint venture between these two companies, AG Castillo Media Limited, will publish Newsweek every week for newsstands in 55 countries across Europe, the Middle East, and Africa. Production for all three hardcopy issues—available in 84 countries around the world—is managed by AG Publications in Lahore. The first AG-produced Latin America and EMEA editions of Newsweek (Feb. 4, 2013) hit stands this week. AG Castillo Media’s directors comprise Fasih Ahmed, João Paulo Diniz, and Mauricio Weinstein. 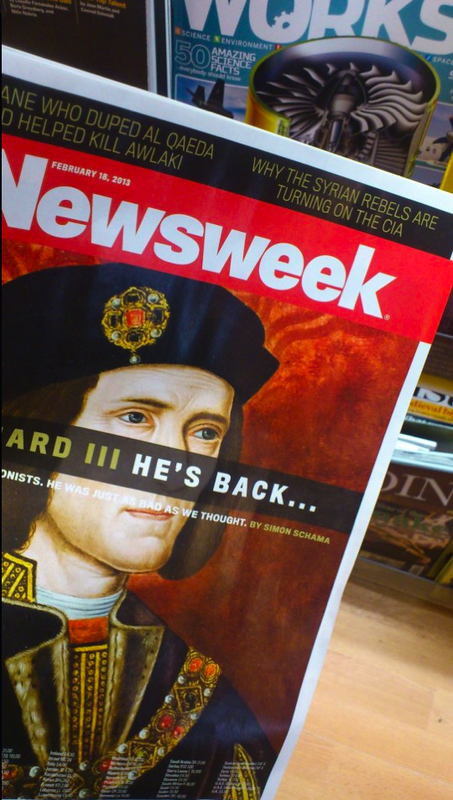 Did the folks in Europe hear the news that Newsweek is now a digital only entity? 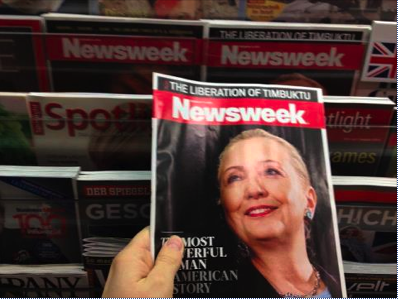 After all the fanfare about morphing into a digital entity, my friend Branislav Ondrasik from the Pan European University in Bratislava, Solvakia emailed me a picture from a newsstand in the capital city with the comment questioning whether the folks at Newsweek “still believe there is market for it at least here.” He adds “Newsweek is on a newsstand in Bratislava, Slovakia and across the continent.” The proof is in the picture below. 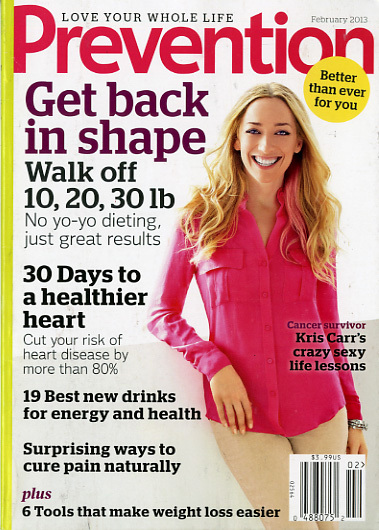 The cover is dated Feb. 13, 2013. Go figure! 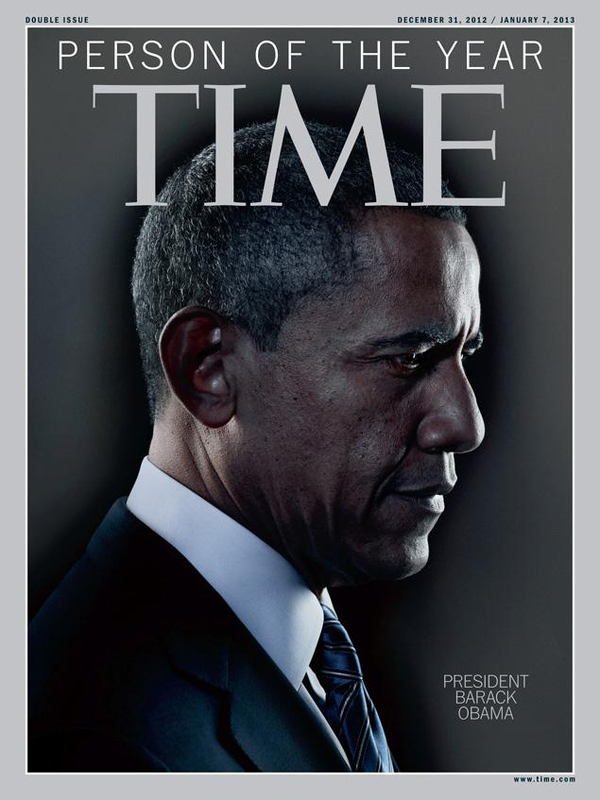 The March cover of Esquire magazine is creating a buzz, a major buzz, on the nation’s stands. And this cover can only be found on the nation’s newsstands. As you can see, it is a typographical cover with some explosive words (no pun intended) to say the least. This is not your usual cover for Esquire. But, the cover story is not usual either. 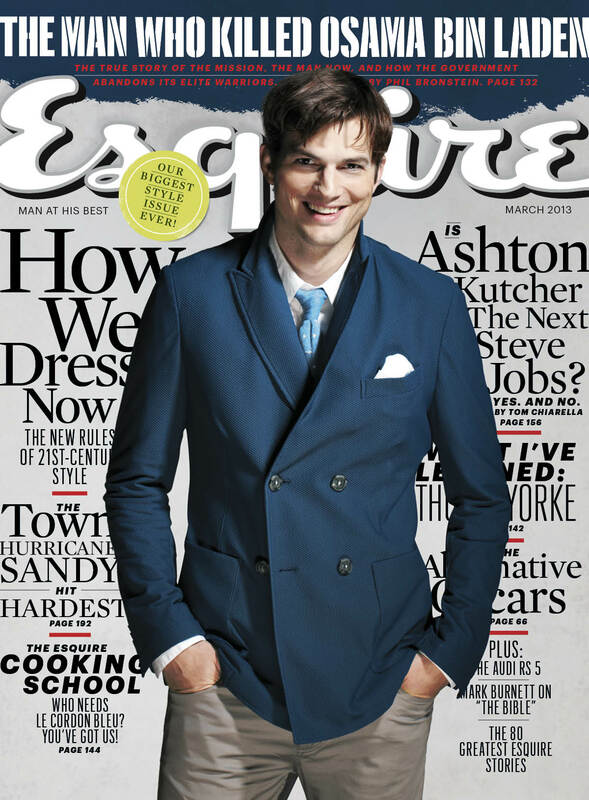 However subscribers are receiving the more traditional cover of the magazine with Ashton Kutcher’s picture and the usual array of coverlines. In general, I do not believe in splitting covers. I think it as as important to sell your subscribers on what’s inside as it is potential newsstand buyers. 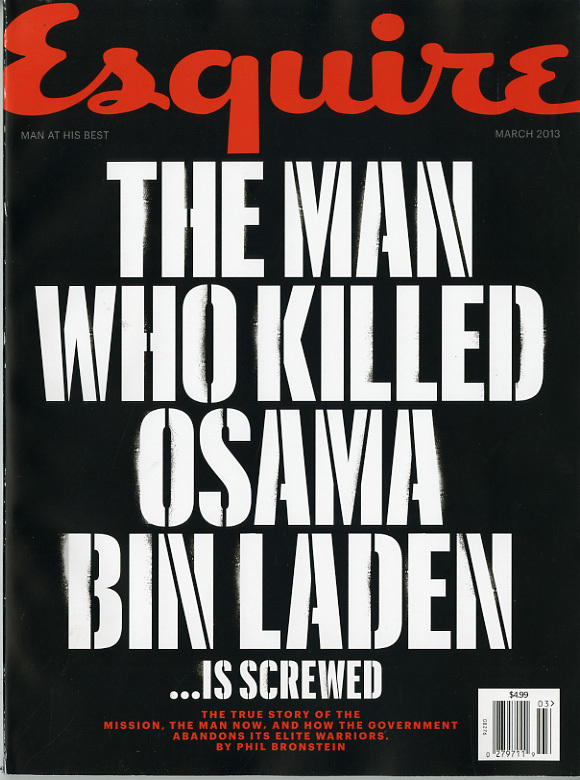 In this case, we had a story of major importance—the first time the SEAL who killed Osama bin Laden spoke, both about the raid and, more important, about the slipshod way veterans (including our most elite forces) are treated when they leave the service—and a story that I thought could inspire a cover that make a splash when it hit newsstands. The Printed Magazine is Your Calling Card To A Much Bigger Business and Other Cool (and Profitable) Advice from Jonathan Rheingold, Founder and Creator of Respect and Tally HO! Magazines. The Mr. Magazine™ Interview. Hip-Hop’s hippest and most successful co-creator of urban magazines XXL, King, and many more, Jonathan Rheingold, talks about his own creations, Respect…another hip-hop feather in his urban cap, and his latest print endeavor, Tally Ho!, a total celebration of some of photography’s most inspiring artists. So prime your rhyme and sit back, Jack, with Mr. Magazine™, as he turns you on to some of the coolest advice ever given, with hip-hop’s own Jonathan Rheingold. Jonathan Rheingold isn’t just sitting around on his laurels waiting for the golden rapper to pronounce him King of all urban legends of print. While his 22 years spent at Harris Publications was a great experience and something he will always treasure, Rheingold has moved on…with warp speed. Three years ago he launched Respect, a hip-hop offering of sophisticated photographic flair and fare. The magazine teams Rheingold, once again, with the famed urban blogger, Elliott Wilson, and together the two are proving their professional compatibility is unbeatable. And now, on the heels of the successful Respect, Rheingold has united with Phil Knott to bring the world fine art in the form of some of the most awe-inspiring photography around with Tally Ho!. Combining the artistic poignancy of Tally Ho! with the cultural kick of Respect, not to mention throwing in an entire custom-designed program for advertisers that gives them multiple platforms to target, Rheingold has hit pay dirt once again. And as with every Mr. Magazine™ Interviews, first the sound-bites followed by the lightly edited transcript of the interview. On why he still believes in print: I still think it’s an extraordinarily viable platform to reach consumers. The fact is that the engagement with print, in my opinion, and I’m sure a lot of statistics would support this, is still one of the strongest areas to target consumers with premium content that they pay for. On why creating his own custom-designed ad campaigns for his clients are the future of advertising: What drives our business is the programs that integrate all the platforms across the board that we actually customize. So when you look in Respect magazine and you see those G-Shock campaigns for Casio, our in-house agency creates all of that for them. On why his magazine is a calling card: I get to reach my audience through all these different mediums beyond the magazine, yet I’m still doing the magazine. So the magazine is not only a calling card for advertising, and in itself it’s still a valid medium, it is a calling card to the much bigger programs that we do. On why the term advertiser just doesn’t fit anymore: So a lot of these companies that historically, as a magazine publisher, I would have called advertisers, I now call clients. 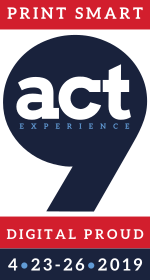 They’re clients because we help them reach an audience through many touch points. So, the traditional conversation was…let’s discuss a rate and a frequency, and then we negotiate. Now the conversations are, whether we want them to be or not, as though we’re an agency. And now here is the complete Mr. Magazine™ Interview, lightly edited, with Tally Ho! and Respect’s Jonathan Rheingold. Samir Husni: I know you just celebrated your third anniversary with Respect magazine and now you’ve launched Tally Ho!, do you think there’s a future for print? Why are you introducing a new print magazine in this digital age? Jonathan Rheingold: Well, there are a lot of good reasons. I still think it’s an extraordinarily viable platform to reach consumers. I’d have to almost take you back a little to understand. I was at Harris Publications for 22 years and I was a very loyal employee and I co-created with them, along with Dennis Page, who was my partner-in-crime and my boss for many years. We had an incredible run and co-created a lot of great magazines at the time with one of the top mediums. You know the web has definitely changed the landscape quite a bit. But the fact is that the engagement with print, in my opinion, and I’m sure a lot of statistics would support this, is still one of the strongest areas to target consumers with premium content that they pay for. To me the vitality of readers of magazines is the strongest out of any other medium because it’s a whole tactile experience. In terms of Respect, every magazine has a different story. Respect, when I launched it three years ago, happened at a time when the magazine apps were really just starting to come out. People were asking me why are you doing a print magazine and I said…well, in my years of launching all these pop culture oriented publications, I kept in contact with all these great photographers and I love their work. I have a passion for it. And honestly, outside of a gallery or a museum, I can’t think of a better place to experience fine art. But photography is a medium that I think is best-served in print, unless you’re seeing it in person. My original thought process, putting the commercial viability aside for a moment, was to create a magazine that would best serve the beauty of the pictures. And to me digital falls really behind in that area. I don’t think that you could really experience the type of content we have in Respect, on a tactile level, like you could do in a print magazine. It just made perfect sense in terms of photography, stills work very well in print, and Respect, for a hip-hop magazine, as a matter of fact for any music magazine, was a whole new approach really. It was created to celebrate the best photography, and journalism. It’s all about delivering five-star, curated content. And not to knock the competition, such as XXL magazine, which is dear to me because I co-created it, but we believe when you launch a magazine you have to differentiate yourself, and again, in this digital culture we live in, I feel like if I’m going to launch a magazine and have a passion for something, it should be real. In photography and the area of urban culture, there has never been a magazine that truly celebrated it on a really sophisticated level. Everyone had claimed to do that, but I think that not since the early incarnation of Vibe, has there been a magazine like Respect. I truly believe it’s the best hip-hop magazine there is. There’s no back-up book from an advertising standpoint, no defamatory content toward women, and we really celebrate the photography and the subjects in the magazine. To get to your main question: why do a print magazine? 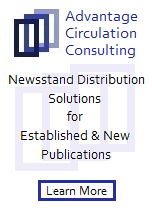 I think that the experience we provide is best-served in the format of a print publication. And if it’s about how do we reach people, I’m still very newsstand driven, so we do distribute Respect widely, globally, on newsstands. So our readership is a paid readership, it’s not controlled circ. We don’t give them away. You have to buy it on the newsstand. There is a qualitative aspect to that. The advertising space has become extraordinarily difficult in magazines, let alone in the urban market. We had a hip-hop boom and then a bubble. And that bubble broke. Companies that were legendary to the culture such as Phat Farm, Fubu, Enyce; all these companies which were born out of the culture by entrepreneurs who came from the inner cities and were able to capitalize on the culture and make a really beautiful living for themselves, a lot of those companies either don’t exist, or have become mass brands. So there is very little endemic business. And as the music business advertising has moved mostly online in an effort to close transactions just to sell songs, there’s very little advertising to garner in the urban space if you’re looking for low-hanging fruit. In other words, advertisers who are spending a tremendous amount of their marketing dollars on targeting urban readers aren’t so common in print anymore. We had this great idea with Respect in wanting it to always be culturally relevant. I left Harris in 2009 because my advertisers wanted to have access to more media from us and bigger programs. We were very limited in terms of just merely offering print. There were companies out there like Complex Media and Cornerstone and Vice, which is also an agency with Virtue, they were all what I call the hybrid agencies that came into the business. A lot of them were born out of magazines. Complex was a magazine, Cornerstone has Fader, Virtue has Vice, Filter Media has Filter. I see the magazine, Respect, as being a calling card to a much bigger business. I run the magazine profitably, very lean, with the best talent. It’s a self-sufficient business as I run it, but it’s definitely a calling card to a much bigger platform. We, Musinart, the parent company, have an advertising ad network. We represent approximately a dozen different sites in pop culture, ranging from music to sports to fashion. And then we also have an in-house agency where we produce a lot of custom content. Now when I get an RFP for the magazine or an RFP for the network, I’m able to bundle all of these different media together into a unified program. I do sell standard ads on the web. I sell standard ad pages in the magazine. But really, what drives our business is the programs that integrate all the platforms across the board that we actually customize. So when you look in Respect magazine and you see those G-Shock campaigns for Casio, our in-house agency creates all of that for them. We curate the talent for the programs. I identify the talent. We release them legally; everything is very, very legitimate. We shoot the content in the programs for the print advertorial. We shoot video of the subjects that we use for digital, which we then have the ability, like a creative agency, to create content, but what we do differently from a creative agency, is we then have the ability to disseminate it as well. When I shoot a video or a series for one of our clients like Casio, Hennessy, Crown Royal or K-Swiss, we’re able to take those videos and feed them across our ad network which brings the scale that a magazine does not have. And even magazines that typically have their own respective websites, they’re usually small. There’s that phenomena that I’m sure you’re familiar with, Samir. The very popular magazines that are in a particular special interest and have websites usually can’t compete with the small, independent groups of individuals that are also living that lifestyle in the digital world. Usually the random blog in hip-hop could be as large as a substantial-sized magazine that has a website. What I knew from my own experience at Harris was not to put all of my energy into digital in building my own digital platform. Instead, put the energy into the creative aspect in delivering advertisers efficiencies and programs that are very custom for them and using the audience from the magazine and the network to push out those campaigns. When you come back to G-Shock again, you have the advertorial in the magazine; you have the videos that we create that live on their platform, so Casio actually houses that content on the G-Shock site. And we use our network to push those videos and to drive traffic to our advertiser’s platforms. It takes into account the print experience, but it also has multiple touch points that really, to me, make it like the ultimate fantasy for a print publisher. I get to reach my audience through all these different mediums beyond the magazine, yet I’m still doing the magazine. The magazine is not only a calling card for advertising, and in itself it’s still a valid medium, it is a calling card to the much bigger programs that we do. But in addition to that, the magazine still gives us the ability to garner the attention and the talent that we need to build these programs, because the talent wants to be featured in the magazine. There’s nothing like being immortalized in print to an emerging artist, or to an established talent. If you ask any major artist if they’d rather be on the cover of a magazine or on the homepage of a website, they’re going to pick the magazine, because the website, first of all, is vapor. It’s there and then it’s gone. And the magazine is like an accolade. 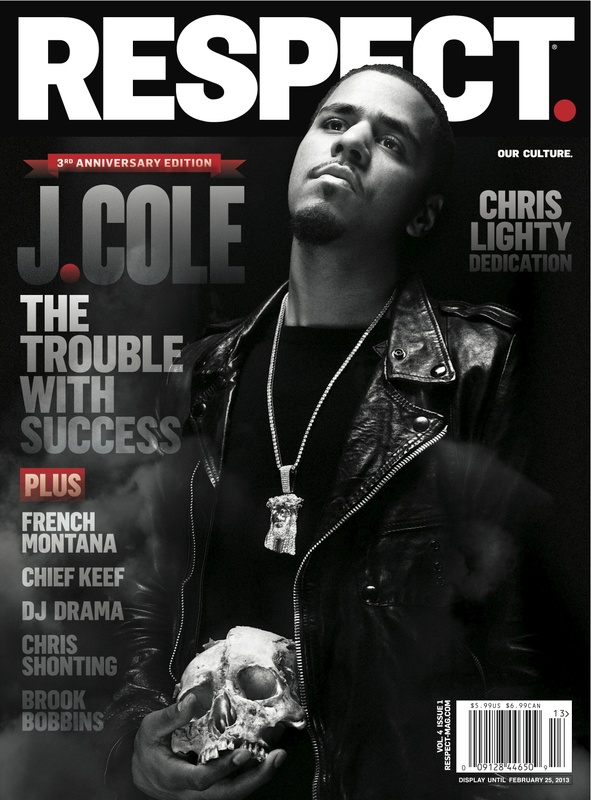 If you’re a rapper and you’re on the cover of Respect, it’s just short of winning a Grammy. It’s a great accolade to be on the cover of XXL, Rolling Stone, Respect or Vibe. I think it’s that print still has that cache, that credibility factor of the journalism inside. The amount of care and time that goes into producing that product is just on a different level than creating digital content. I’m not saying that it’s better. I’m just saying that the engagement is much different, and definitely for the talent, it has far more relevance and importance to them. And it helps us with the advertisers, because the print product definitely garners talent for a campaign. The level of talent that we’re able to procure, from writers and photographers, is much greater in a magazine than it is on the web. And we’re able to leverage that, to create these really great programs. Musinart, just to give you background, is an integrated media company. We have an ad network where we create campaigns, recruit talent, create content, whether it’s print or digital content, and then we have the ability to disseminate it through different mediums, both magazine and digital. 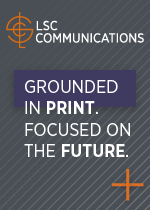 It’s really a one-stop, efficiency company that I designed to speak to the ever-changing print-advertising climate. My company was definitely birthed out of, what I believe, is what’s necessary to be a great print publisher in this climate. You have to embrace digital, which doesn’t mean you have to abandon print. It means you have to embrace all of it. That’s really what Musinart is about and my legacy in urban culture and co-creating and launching King and Scratch and XXL…I know you remember all the magazines we launched…Hardball and Blitz. Dennis and I were prolific for many, many years. And then the Internet changed things. Respect and my experience in urban music was really a solution, if you will, to that space of not only offering print, but a full-service program. When I talk about Casio G-Shock, we’re the only hip-hop publication that Casio advertises in. Everything we do for Casio is custom, in every issue. It’s custom. Anything with K-Swiss, Crown Royal, we did a very big program. A lot of these companies that historically, as a magazine publisher, I would have called advertisers, I now call clients. They’re clients because we help them reach an audience through many touch points. The traditional conversation was…let’s discuss a rate and a frequency, and then we negotiate. Now the conversations are, whether we want them to be or not, as though we’re an agency. We have agencies that contact us with RFPs that request very creative executions that are original and not cookie-cutter at all. And that requires very creative selling and access to really great talent to create those programs for them, so that’s very much what my company is about. Sometimes you’ll be looking at an issue of Respect and see that amazing ad for K-Swiss and not even realize that to get that ad and to sell that ad, I had to make it. And that’s also, I believe, what makes me scrappier than your average agency, because my form of selling, and the fact that I have to create these campaigns, are really a result of my means of selling advertising. And if I have to sell an ad and I have to create the campaign, then that’s what I’m going to do. A lot of companies are doing that now. Where we’ve set ourselves apart is that the quality of our work is exceptional. We operate like a real ad agency. Within three years’ time, I built a very successful publication. Elliott Wilson, the most celebrated hip-hop journalist, who was named by MTV as the face of hip-hop journalism last year, is the editor of Respect, and during our heyday at XXL, he and I were the best-selling team, I was the executive publisher and he was the editor. And those were the best days of XXL, without question. So he’s onboard. And he also has a very successful rap blog and that is a separate business. Musinart actually represents Rap Radar. It’s a bit incestuous. I represent a blogger who’s the editor of my magazine. So again, when we do these programs, it makes them that much more successful because I really get the bloggers engaged in what we do. But at the end of the day, I don’t think the Musinart Company would be as successful or as unique if we didn’t produce the publications too. Samir Husni: We are living in this Transcended Infinite Media age where it’s more of a tangled web, and it seems like you are in every string of that web. Is this the future? Jonathan Rheingold: I believe it is. You know, magazines, hopefully not in our lifetimes, may become extinct, but the future now is really about integration. I don’t believe that magazines are going anywhere, and I don’t think they’re exactly analogous to vinyl and to music, because without question, it’s a particular type of physical experience that just can’t be replicated digitally. I think it’s more analogous with the movies. You know everyone thought that with the advent of streaming video and film, that ticket sales at movie theaters would be dead. And movies are still breaking records. That’s because people still want to go to the movies. You can’t replicate that at home. Samir Husni: Do you find that it’s easy to replicate with Tally Ho! what you did with Respect? Jonathan Rheingold: Tally Ho! was an utter and total rite of passage from Respect. Phil Knott was a photographer that I interfaced with on Respect, his work stood out to me. If you read my letter, there’s a short story of how we came together. We got together and he had this really crude newspaper that he had done in 2006 that was kind of slapped together. And I thought it had great promise. I just loved the concept of a print publication being a gallery of sorts, and to work, being a type of visual creation; it really would be best-served in print. And so Phil had shown me this newspaper, it was a little cruddy, but the concept was cool, and I said if I put a team together and package the real publication with you, I think we could do something really different. As a matter of fact, where everything seems to be continually going digital, my company is the audacious organization. Where people are getting away from print, I’m here to launch, but I’m only going to launch ideas that I feel would conceptually work better in print. And to me, like photography, which is a form of fine art, paintings, illustrations, design, including photography, is best-served in print, unless you’re going to go look at it in a museum or a gallery, not online. I think being able to search for information and having a knowledge-base of what’s at your disposal on the Internet, is extraordinary, and a must-have resource for discovering art, music, and photography, but in terms of actually experiencing it, I think it’s best-served in an actual publication. So with Tally Ho! Phil showed me this idea. I told him that I was going to put together a team of editors, which he really didn’t have. At the time he just had a bunch of pictures, which reminded me of Antenna. What I really loved about Antenna was we were able to create a comprehensive bible to product, and I felt like what Antenna was to product, Tally Ho! would be to fine art. We would create a very easy navigation for people to experience work by fine artists, and also to learn who these people were in a very short-form format that would open their eyes to art; so if they were purveyors of art, they would respect it and appreciate it, and want to, obviously, engage in it. And if they were novices, they would feel like they could immerse themselves in it and learn from it. And so, I think Tally Ho!, unlike Respect, is not a commercial play, it’s much more curated and smaller. We’re available in 125 different galleries globally. We’re in all the major, finer bookstores, Barnes & Noble, Books-A-Million, and then we’re in specialty shops, such as Colette in Paris. And ranging from Kidrobot to Colette, we’re really walking that line between the early adopter, curators of pop culture, and individuals that actually really love and collect fine art. And what Phil is doing that’s different is, he’s created his own fine art, broadening the definition of artistry which includes design. And to some degree, even music is a theme that’s incorporated into it, not as a music magazine, but as in capturing celebrities from music in different ways. So Natalia Kills, is the cover, and on the flip side is David Bowie. But the reality is that the David Bowie piece is really about Mick Rock, who’s a legendary rock photographer, who captured the 70s. And Natalia is, if you look at the feature, a really Avant-garde photo essay that was shot by Phil himself. It’s Phil Knott’s Tally Ho! Phil is a curator, who also incorporates his own work. I mean, he doesn’t purport to be Andy Warhol at all; it’s not like Andy Warhol’s interview. He’s really not an egotist. It’s just really about his world and all these great people he knew. So I underwrote it, and we created a very unique partnership between the two of us. And we got three underwriters. I remember with Respect, I got a single sponsor to keep it simple. And with Tally Ho! we were very cognizant about concentrating on getting a few companies that really understood the cultural value of the publication to underwrite the first issue so that we could really get it out the door and not be dependent on multiple advertisers. And so again, Musinart, integrated hybrid agency, integrated Media Company; there are many things that you can call it, but we’re still a magazine publisher. And in the last three years for a small publisher to turn out two publications…Respect, by the way, is now bi-monthly, so we actually went up in frequency from 4 to 6, where magazines like XXL have gone from 9 to 6. Samir Husni: Jonathan, what do you call yourself? I see your title in the magazine is publisher, but what are you really? Jonathan Rheingold: That’s a great question, Samir. You know, I consider myself a publisher whether it’s digital or print. When you hear publisher, that may be more synonymous with magazines. When you think video, you think producer. When I was at Harris, I was very creative and I was executive publisher. At Musinart, at times, I’m like the creative director and I’m also the publisher. Because all the selling, all the content, anything we create, it has to have advertising, sponsorship, and consumers in mind. Those things don’t always work in tandem together. I almost want to reserve the right to send you an e-mail and have time to think about that question, because I think being quoted as calling myself a publisher may make me sound like I’m antiquated, but I really think it does speak to the multi-faceted aspect of selling and creating. You know, I’m not a rep. I’m not repping other people’s magazines. I create the magazine, Musinart owns the magazine, so we’re creating content, and we’re selling advertising. I’m enlisting all these great talents who create, shoot, and write for us. I’m as much of a director as Spielberg, not to put myself on the same pedestal with the man, but I’m really, from concept to creation, immersed in the entire concept like I’ve never been before. And that’s necessary. I really have to think about it. It’s a great question that I struggle with. Sometimes I struggle with what to call my company, but I feel very comfortable saying it’s an integrated media company. At the end of the day, that’s what we do. I would say I’m an integrated publisher. Samir Husni: My last question: what keeps Jonathan up at night? 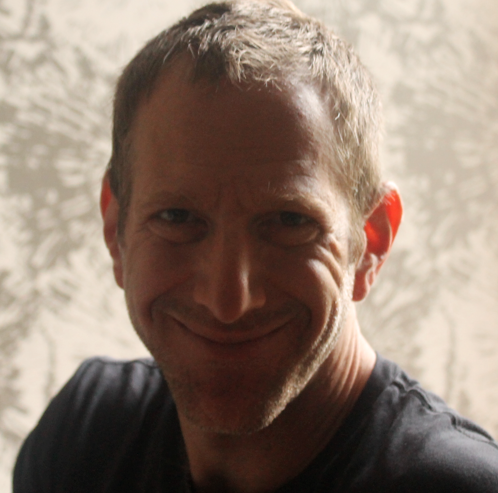 Jonathan Rheingold: I love to find solutions to my clients’ problems, challenges, and/or goals. That’s what I live by. I love coming up with solutions. I love completion. And just knowing that I’m making a difference and able to provide these efficiencies for companies that need to reach a particular audience and don’t necessarily have the budgets they used to have to do it. And I’m still able to create efficiency for them. But I think solving problems and creating campaigns based on my clients’ needs is extraordinarily gratifying. I am a sales person at heart, but to be a great salesperson in any medium, whether television, radio, various facets of digital, or print; you have to be creative. And I don’t mean creative as only having great ideas; I mean creative where you have to be extraordinarily consultative, and a lot of my sales calls and sales meetings, and even the RFPs we get, are highly consultative. It’s going way beyond, “Hey, what can you sell us?” to “Hey, what can you create for us?” The whole thing that keeps me up at night is retaining the ability to create these things and come up with solutions. That’s what makes it all very gratifying. 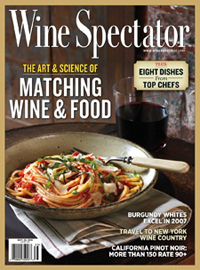 You are currently browsing the Mr. Magazine blog archives for February, 2013.